Yesterday will go down in history as a day when millions gathered for the Women’s March 2018 in cities around the world. 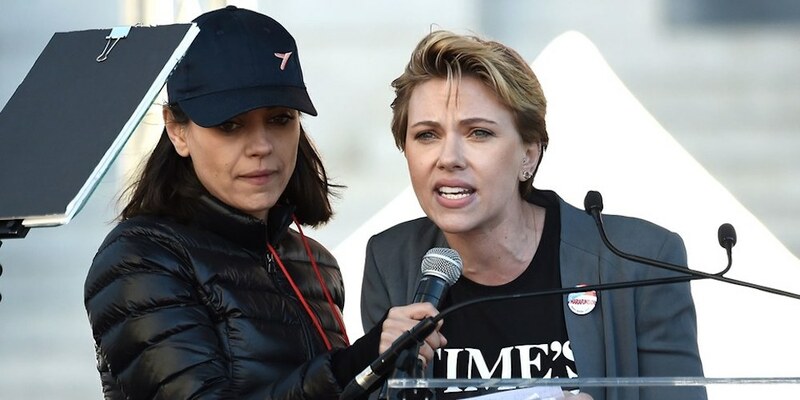 One of those women was Scarlett Johansson, who took to the stage at the Women’s March in Los Angeles to voice her discontent with the current administration and speak to the importance of the relatively new Time’s Up movement. But she also had some choice words for American actor James Franco. The Scarlett Johansson James Franco comments have made headlines for their IDGAF nature, and we’re totally here for it. More than 500,000 people are said to have gathered in Downtown Los Angeles yesterday, starting things off with speeches and presentations at Pershing Square. 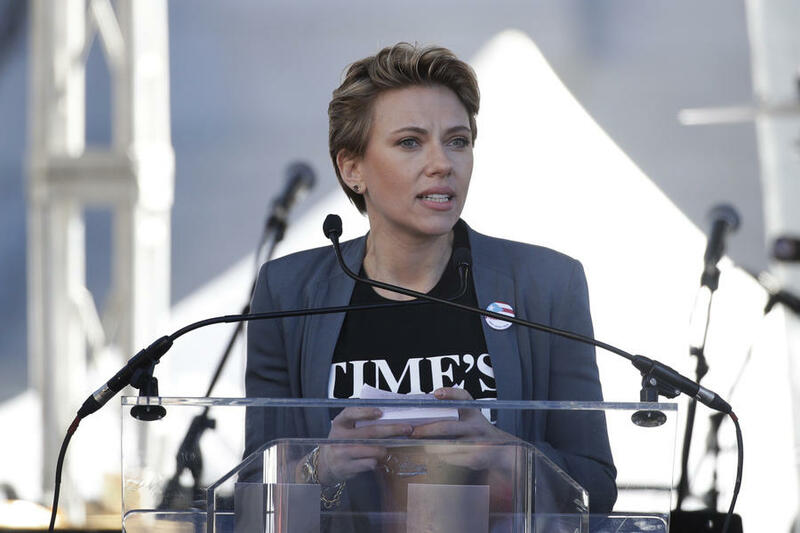 Among those who spoke to the crowd were Johansson, Viola Davis, Natalie Portman and Laverne Cox. The accessory of the evening at the Golden Globes this month was the Time’s Up lapel pin, the signifier of an initiative to fight sexual misconduct in the entertainment industry and elsewhere. Many celebrities sported the pin, including Michelle Pfeiffer, Tom Hanks, This Is Us star Chrissy Metz … and James Franco. During the Golden Globes, actress Ally Sheedy publicly took to Twitter to slam the Disaster Artist actor. “James Franco just won. Please never ever ask me why I left the film/TV business,” read one of her tweets. (They’ve since been deleted.) A few days after the Golden Globes, the LA Times ran a story in which five women accused the actor of sexual misconduct, though Franco denies it. Cut to yesterday’s Women’s March 2018 in Los Angeles. 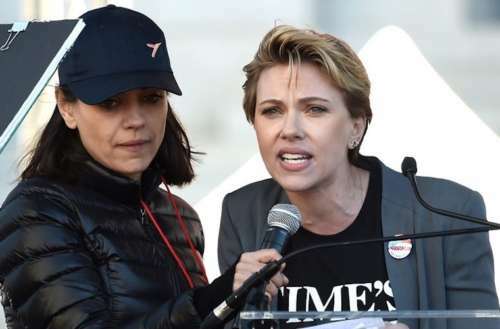 The Scarlett Johansson James Franco comments practically opened the actress’s speech. A representative for Johansson later confirmed that her comments were indeed meant for James Franco. What do you think of the Scarlett Johansson James Franco comments? Sound off in the comments.